CarGurus has 2,946 nationwide CLS-Class listings starting at $4,900. Mercedes-Benz makes only minor updates to its CLS-Class 4-door sport sedans for 2014. Introduced in 2005 and currently in the midst of its second generation, the CLS-Class consists of 3 elegant yet powerful trims, including the rear-wheel-drive CLS550, the CLS550 4Matic and the performance-tweaked CLS63 AMG. For 2014, MB adds a new Collision Prevention Assist system on all trims, which uses radar sensors to alert drivers of an impending accident with the vehicle ahead. In addition, the automaker equips the CLS63 AMG with its 4Matic all-wheel-drive (AWD) system as a standard feature, increases horsepower for its bi-turbo V8 from 518 to 550 and introduces a new S package for the CLS63 AMG, which boosts hp to 577. As a result, the new CLS63 AMG S-Model makes the sprint from 0-60 in a head-turning 3.7 seconds. Although officially a 4-door sedan, Mercedes-Benz refers to the CLS-Class as a 4-door coupe, due in part to its styling and 4-passenger seating arrangement. There's no doubt the CLS-Class displays distinctive coupe-like lines, with a low stance, a long hood, pronounced shoulders at the rear wheels and a swooping fastback-style roofline. The sculpted hood and sides give it a flowing yet sporty appearance, while details like the mesh grille, large front air dam, HID headlights, LED daytime running lights, side sills, frameless windows and LED brake lights add a bit of flash and aggressiveness. Exterior options include LED headlights and a rear spoiler. Two different engines drive the CLS-Class trims, and both provide impressive acceleration. The CLS550 makes the sprint from 0-60 in 5.1 seconds, thanks to its 4.6-liter bi-turbo V8 engine, which generates 402 hp at 5,000 rpm and peak torque of 443 lb-ft over a broad range from 1,800 to 4,750 rpm. The V8 links to a 7-speed automatic transmission with a manual-shift mode and steering-wheel-mounted paddle shifters. It posts fuel economy numbers of 18 mpg city/27 highway. When equipped with BMW's optional 4Matic AWD system, fuel economy numbers for the CLS550 drop slightly to 18/25. An Eco Start/Stop shuts off the engine while at a standstill to help conserve fuel. The CLS63 AMG dashes to 60 mph in just 3.7 seconds, thanks to its hand-built 5.5-liter bi-turbo V8, which pumps out 550 hp, up from 518 the previous year. Torque tops out at 531 lb-ft. The new S package increases those numbers to 577 and 590, respectively. BMW limits top speed to 155 mph for the CLS63 AMG and 186 with the optional S package. Both engines are paired with a multi-clutch AMG SpeedShift MCT 7-speed transmission with 4 selectable modes. The 4Matic AWD system, now standard on the CLS63 AMG, incorporates Mercedes-Benz's 4-wheel Electronic Traction System, which distributes power to the wheels with the best road grip. Under normal operation, it maintains a 45/55 front-to-rear power split for the CLS550. For the CLS63 AMG, the torque split alters somewhat, to 33/63, favoring the rear wheels a little more. Beneath its skin, the CLS-Class shares most of its underpinnings with the E-Class. The CLS550 comes standard with the automaker's Airmatic suspension system, which features adjustable air springs and a 2-mode damping system to reduce body roll in corners as well as pitch and yaw when starting and stopping. The suspension also includes 4-wheel level control, which drops the car down on its haunches at higher speeds to help reduce drag and improve stability. Electromechanical power steering with MB's Direct-steer system provides agile handling and good feedback. The CLS63 AMG upgrades to an AMG Adaptive Sport Suspension with 2 driver-selectable modes. It rides on 19-inch flow-formed alloy wheels or optional lighter forged AMG wheels, while the CLS550 gets standard 18-inch 5-spoke wheels with a luminous silver finish. The S package receives distinctive 19-inch Titanium Silver 10-spoke wheels with red brake calipers. On all trims, the wheels are staggered in width, with the rear wheels wider than the front ones, resulting in good grip and a stable stance. The CLS-Class's cabin gets top marks from owners and reviewers for its premium materials, soft-touch surfaces and high-end build quality. Rear-seat headroom might be a little tight for taller passengers due to the sloping roofline, but they should find plenty of legroom. The seats are highly supportive, attesting to the CLS-Class's sporty nature, and are covered with double-stitched hand-fitted leather. The 14-way power-adjustable front seats are heated, and owners can add optional multicontour or ventilated seats. Ambient lighting and a handcrafted wood dash made from Burl Walnut, Black Ash or Light Satin Poplar provide a touch of elegance, while the Nappa leather-wrapped multifunction 3-spoke steering wheel features 4-way power adjustment. The S package includes a racing-inspired steering wheel with Alcantara side grips, and owners can choose from a number of other optional sport steering wheels as well. Dual-zone climate control also comes standard, while split/fold rear seats are available as an option. Tech features abound in the CLS-Class. The standard navigation system includes an 80GB hard drive and a 7-inch high-resolution color display screen, while the 14-speaker, 610-watt Harman Kardon Surround Sound audio system features HD radio, a 6-CD/DVD player, Bluetooth audio streaming and SiriusXM satellite radio. Owners can add an iPod port as an accessory. Owners can also add the automaker's mbrace system, which provides Internet connectivity for in-car devices, a variety of in-car applications, travel assistance and safety features such as remote door unlock and stolen vehicle recovery. Along with performance and comfort, safety features excel on the CLS-Class. A total of 10 airbags are located throughout the cabin, including knee, pelvic, side-impact and side-curtain airbags. Attention Assist, which monitors driver behavior and sounds an alert if the system detects drowsiness, also comes standard. Electronic stability control and antilock brakes with brake assist are among the other standard safety features. Owners can add a number of optional safety features, including blind spot assist, a Parktonic parking assist, a night view assist system, a rear camera and lane-keeping assist. The CLS-Class has not been safety-rated by the IIHS or NHTSA, but the E-Class, on which it is based, achieved a top rating of Good from the IIHS, and the NHTSA gave the E-Class 5 out of 5 stars for protecting passengers during rollovers. The CLS-Class runs with a strong group of competitors, including the BMW 7 Series, the Cadillac CTS-V, the Audi A7 and A8, the Hyundai Equus and the Jaguar XF and XJ. Although owners' impressions of the CLS-Class are limited, those who have driven and purchased the vehicle give it overwhelmingly positive reviews for its styling, performance and comfort. What's your take on the 2014 Mercedes-Benz CLS-Class? 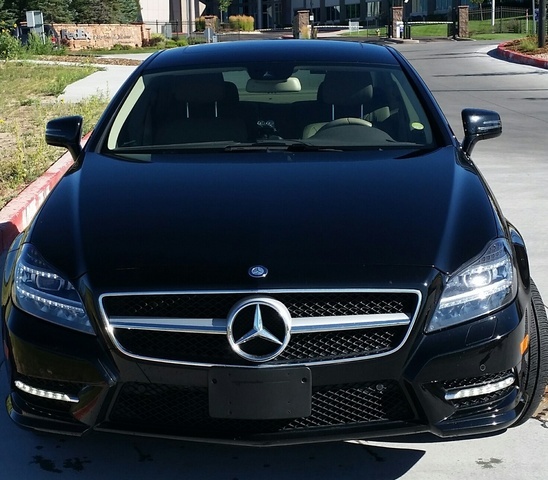 k_james1940 Looking for the 2014 CLS550 MB with Designo Graphite exterior. $42,646. with 19,435 miles. Found it then lost it on your site. Very interested.l Please call or email: 405-348-3475 or k.james@cox.net. Users ranked 2014 Mercedes-Benz CLS-Class against other cars which they drove/owned. Each ranking was based on 9 categories. Here is the summary of top rankings. 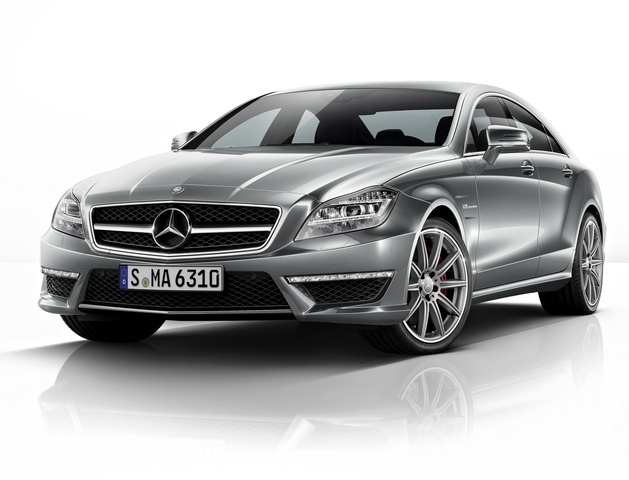 Have you driven a 2014 Mercedes-Benz CLS-Class? Where Is The " Sell My Car Button " On Cargurus ?